Have you heard about oil pulling yet? If not, you’ve come to the right place! 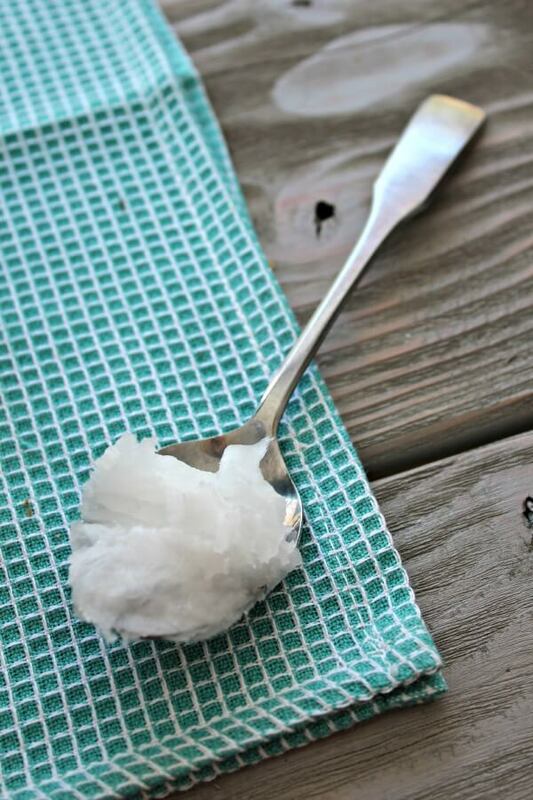 In this post, I’ll teach you all about oil pulling, the health benefits of oil pulling and my results from oil pulling with coconut oil for the past year. When I first heard about oil pulling, I was intrigued. I am a huge believer in doing what I can to lessen my toxic load and I have a heart that wants to teach anyone who will listen, how to reduce the toxins in your life so that you can enjoy better health for yourself and for your family just like I’ve experienced. I love the fact that such a simple thing like swishing coconut oil in my mouth helps reduce the harmful bacteria in my body, keeps me healthier and effectively lessens my toxic load. Oil Pulling is an ancient Ayurvedic practice that involves swishing oil around your mouth for oral cleansing, detoxifying and overall health purposes. The practice of oil pulling originated a few thousand years ago, but it’s once again gaining in popularity. Many holistic practitioners and functional medical doctors are even suggesting daily oil pulling to their patients. And for very good reason! The science behind oil pulling is that the fatty acid composition in coconut oil attracts bacteria, microbes and other pathogens. The lauric acid in coconut oil is proven to be antimicrobial and antibacterial and can kill bacteria, viruses and fungi (source). Essentially, the coconut oil “pulls” toxins from the mouth, helping to cleanse our blood. After 15-20 minutes, the blood from the entire body has had the opportunity to circulate in and around the mouth, thus effectively pulling toxins from not just the mouth, but from the entire body. Because oil pulling can detoxify and cleanse toxins from the entire body, many people have experienced various health improvements. I’ve heard oil pulling improving many different conditions like skin issues, hormone problems, arthritis pain, allergies, chronic pain, migraines and more. 1. In the morning before drinking or eating, place 2-3 teaspoons of coconut oil in your mouth, making sure not to swallow. The morning is the ideal time to oil pull because your bacteria levels are the highest and you’ll have the greatest potential for detoxification. Make sure the coconut oil you use is unrefined and cold pressed so you will get the most benefits. I use THIS coconut oil. 2. Swish the oil around your mouth for 15-20 minutes like you would a regular mouthwash. Do not gargle the oil and do not swallow. After you oil pull, there are many bacteria and toxins in the oil so it’s very important not to swallow it. 3. After 15-20 minutes, spit the oil out into the trashcan. 4. Brush your teeth, tongue and gums (I use THIS toothpaste). 5. Rinse and gargle with warm salt water. I use 1/4 teaspoon sea salt mixed in 1/4 cup warm water. Notes: In the beginning, you may have a hard time swishing for 15-20 minutes. If you are having difficulty, just oil pull for a few minutes and work your way up. You also may want to start with a smaller amount of coconut oil and work your way up. Even though the morning is the ideal time to oil pull, anytime during the day or night that you can fit time in to oil pull will be very beneficial! Many people oil pull while taking a shower. When in the world am I going to have time to oil pull for 20 minutes in the morning? I can barely get out of the door on time as it is! I loved the idea that something so simple as swishing coconut oil in my mouth would keep me healthier, lessen my toxic load and help my body run more efficiently. But I already felt a bit overwhelmed in the morning as it was….cod liver oil, liver pills, lemon water and now oil pulling…..ahhhh! Do you ever feel a bit overwhelmed at all this stuff, too? If so, you definitely aren’t alone! Nevertheless, I made a commitment to myself to try oil pulling with coconut oil for one whole week and then evaluate if it was something I wanted to continue. As soon as I wake up and stumble out to my kitchen, I open my coconut oil jar and take a spoonful. While I’m making my morning tea and breakfast, I swish my coconut oil. I have to admit, it’s kind of nice not being able to talk to anyone that early in the morning ? At first– it was pretty tough swishing for a whole 20 minutes – it made my jaw really sore and I could only do it for a few minutes before I had to spit it out. But now 20 minutes is a piece of cake. The first day I oil pulled, I noticed my teeth were smoother and more shiny and my mouth seemed cleaner than usual. But other than that, I didn’t notice much else. As the days went on– I observed that the little bit of sinus pressure that was common for me to get was gone. Could it be the oil pulling? I soon learned that yes, it was! Fast forward a little over a year and I am still oil pulling every morning. I have no visible plaque on my teeth, have still never had a cavity and somehow my teeth are whiter, too. My hygienist even noticed! Plus, I have had zero sinus pressure or headaches, not a cold or a flu, not even a sniffle or anything else since I’ve been oil pulling. I swear that it’s even given me greater mental clarity and energy. You can now understand why I’m a big fan and why I want you to know all about oil pulling with coconut oil, too! And you know what? It’s not nearly as hard or overwhelming as I first imagined. If you are feeling like I was, that you can’t add one more thing to your morning to do list, I encourage you to try oil pulling for just one week. I think you’ll see how easy it is and it’s very likely that you’ll even start to notice some pretty cool benefits. Do you do the ancient healing practice of oil pulling? Have you noticed any benefits like I have? Leave me a comment and let’s talk! I love hearing your stories and learning about the ways natural remedies are working for you ? ← Should You Drink Coffee Before Your Workout? Does this work using fractionated coconut oil?